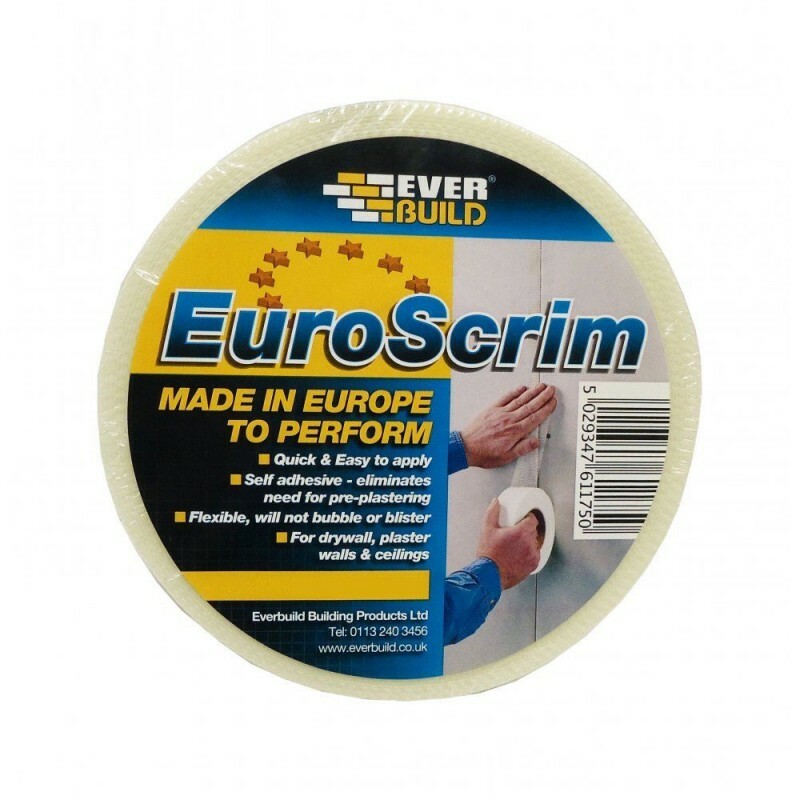 EverBuild Euro Scrim Tape 100mm x 90m. 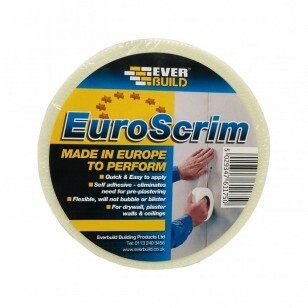 Euro Scrim is a premium quality, quick and easy to apply, self-adhesive scrim tape that is made in Europe to perform! 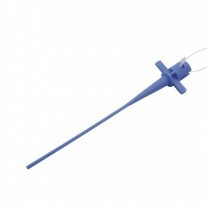 EuroScrim has a quality high tack adhesive and an open mesh that will not blister or bubble, creating perfect joints every time.